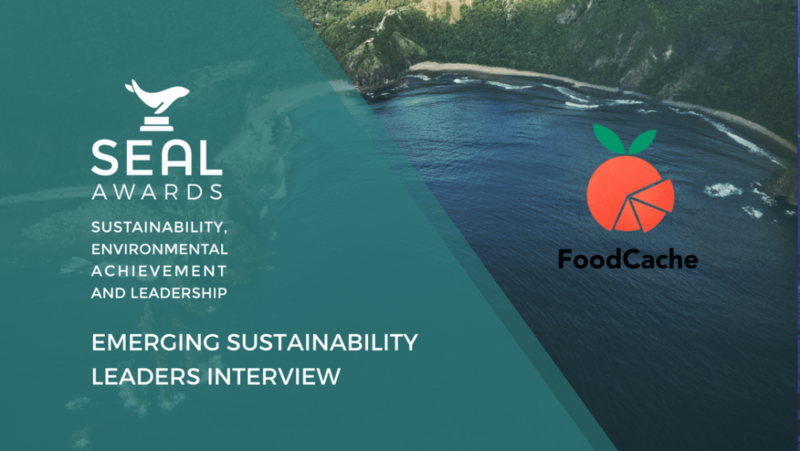 In Spring 2018, SEAL Awards connected with Usha Bhamidipati, co-founder of FoodCache, an app that helps users to track and manage their food purchases with an eye towards avoiding unnecessary waste – a benefit for your bank account as well as for the planet! HOW DID THE ORIGINAL IDEA FOR THE FOOD CACHE APP COME TO YOU? I live in heart of Silicon Valley, occupied with kids and busy family life our household shops groceries once a week. We buy a lot of food hoping to eat it all, but ended up wasting decent portion of it. Noticing how much food gets wasted in our household kitchen, forced me to look for solutions. I realized source of household food waste is a combination of buying too much food and forgetting what is in the back of fridge or pantry. I Wanted something that tracks food purchases, creates food inventory easily and also track Food consumption patterns monthly/weekly. This data should help make recommendations and choices to food we buy. After research I quickly realized this is a global problem with no integrated solution. Food Waste statistics in America and other developed countries were simply shocking. Considering wasted natural resources, energy that goes into producing & distributing food, most importantly the environmental implications of wasted food I was convinced to build a product that will help reduce food waste in households. With help of my husband created a passionate global team to launch this app as a first step in this direction. YOUR APP HAS ONLY RECENTLY BEEN RELEASED, WHAT HAS USER ADOPTION BEEN LIKE SO FAR? DO YOU HAVE USER STATISTICS ON HOW MANY PEOPLE NOT JUST DOWNLOAD THE APP BUT CONTINUOUSLY USE IT? HAVE YOU RECEIVED FEEDBACK FROM USERS YET? We just launched FoodCache a month ago. We get 5-10 users a day. We aren’t actively marketing the App at this time. We want to start with small user base and understand households purchasing and consumption behavior, improve our offering for maximum impact. We have about 40-50 users that are coming back every week to add and manage their inventory and we hope to increase this number in a few months as we offer more. We are beginning to see some feedback from users as to what additional features they want to see happen. This is a paradigm shift in how people manage their food improvising old kitchen diaries that my parents used. In urban cities where we believe our product is good fit, it makes sense to use technology as key to make behavioral changes happen. As we add more features and create value for early adopters we are sure to get more customers. IF YOU ENCOUNTERED SOMEONE WHO DIDN’T IMMEDIATELY UNDERSTAND WHY YOUR APP WAS NECESSARY, WHAT’S THE “30-SECOND ELEVATOR PITCH” YOU WOULD GIVE TO THEM, TO HELP THEM UNDERSTAND HOW YOUR APP IS SOLVING A GLOBAL PROBLEM? FoodCache offers a low barrier platform for household consumers to create an inventory of their food supply. 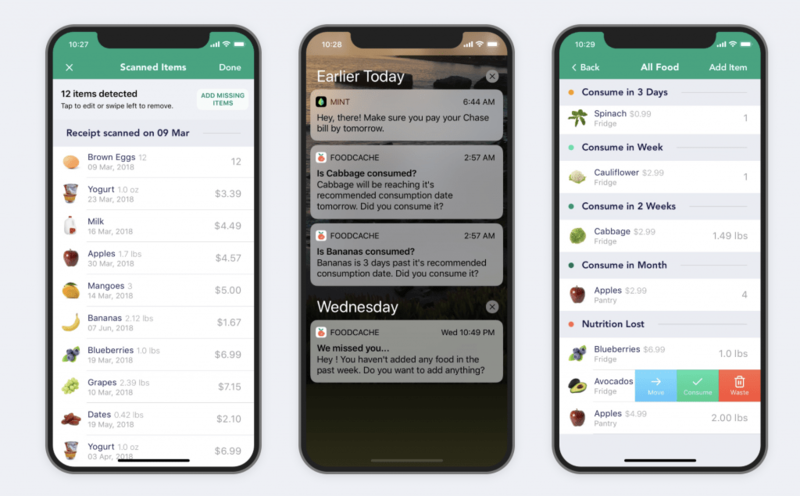 As food is eaten throughout the week, users can update their inventory to track what is left and what foods are thrown away. FoodCache uses this data to understand your household food consumption and wastage patterns and provides targeted recommendation to food shopping and management, reduce waste and save consumers money. We believe in “What gets measured gets managed”. 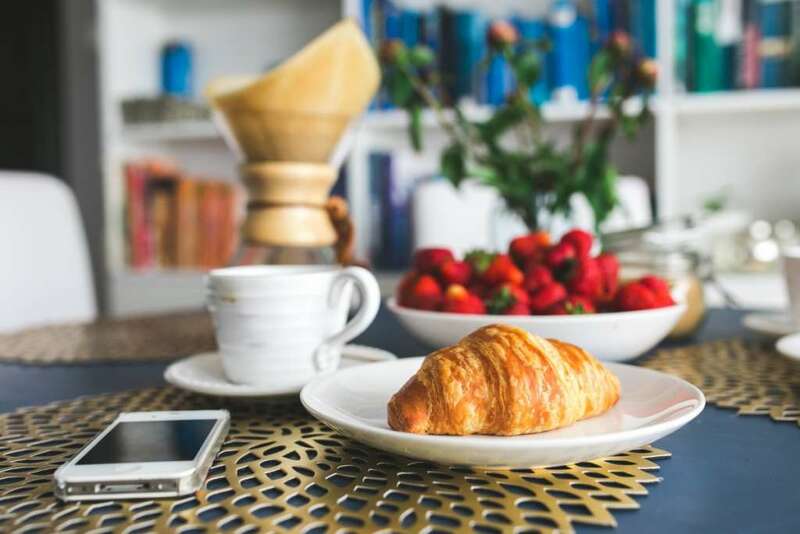 YOUR CURRENT SERVICE IS CLEARLY GEARED TOWARDS CONSUMER IN THE GENERAL PUBLIC, DO YOU HAVE ANY PLANS TO EXPAND YOUR SERVICE TO PROVIDE A SIMILAR TOOL FOR RESTAURANTS, BUSINESSES OR OTHER POTENTIAL PARTNERSHIP ORGANIZATIONS? We definitely have plans to provide similar tools (both Software and Hardware) for restaurants, food businesses, local grocery stores, etc. Very few food businesses really track food they waste. Tracking is key to make adjustments and waste less food. We are in preliminary discussions with NRDC, Stopwaste.org & WRI. We believe our App can be used by these organizations and several others that do Food Waste composition studies in different cities. 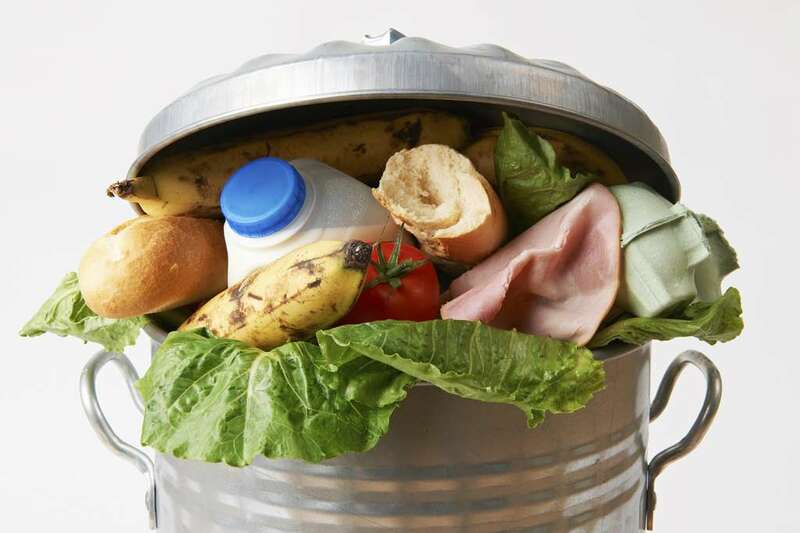 Food waste composition studies are complex and expensive. FoodCache offers a low cost and barrier solution that will build a dataset by zip code of reported food waste, adjusted for underreporting and other factors. This dataset will support solid waste managers in efforts to develop reduction campaigns and organics collection programs. Food Waste composition studies are required to develop more effective programs to reduce household organics waste at source.